Listen to the audio recording here. Performance copyright Accademia Arcadia. This recording is live and unedited, recorded at St Ambrose Church, Woodend in June 2013. Jacqueline Ogeil from Accademia Arcadia said, “we named the CD in honour of Tartini’s Sonata in G minor, nicknamed the “Devil’s Trill” for its fiendishly difficult violin part and devilish reputation, superbly performed by our own Italian Devil, David Monti.” She added; “It is said that Tartini himself dreamed that the devil appeared to him and asked to be his servant. Tartini handed the devil his violin to test his skill – the devil immediately began to play with such virtuosity that Tartini felt his breath taken away. Upon awakening Tartini immediately grasped his violin in to retain in part, at least, the impression of the musical dream. This work is paired with three superb violin sonatas by Antonio Vivaldi, Domenico Scarlatti & Arcangelo Corelli, works which perfectly encapsulate the spirit and elan of the 18th century Italy. Accademia Arcadia’s interpretation of Corelli’s La Folia will delight as will Davide’s inspired improvisation on a theme by Woodend Winter Arts Festival’s musical patron, Peter McGrath. Four of Australia’s foremost early musicians join forces to present this marvellous CD of baroque trio sonatas by Corelli, Purcell and Leclair. Rachel Beesley and Julia Fredersdorf have played in Europe’s best early music ensembles, such as Les Arts Florissants, La Petite Bande and Le Parlement de Musique, and also with Australia’s most celebrated period ensembles such as The Australian Brandenburg Orchestra and the Orchestra of the Antipodes. Together with outstanding locally-based musicians baroque cellist Rosanne Hunt and keyboardist Jacqueline Ogeil, these two violinists give scintillating performances of this all-too-rarely-heard repertoire. 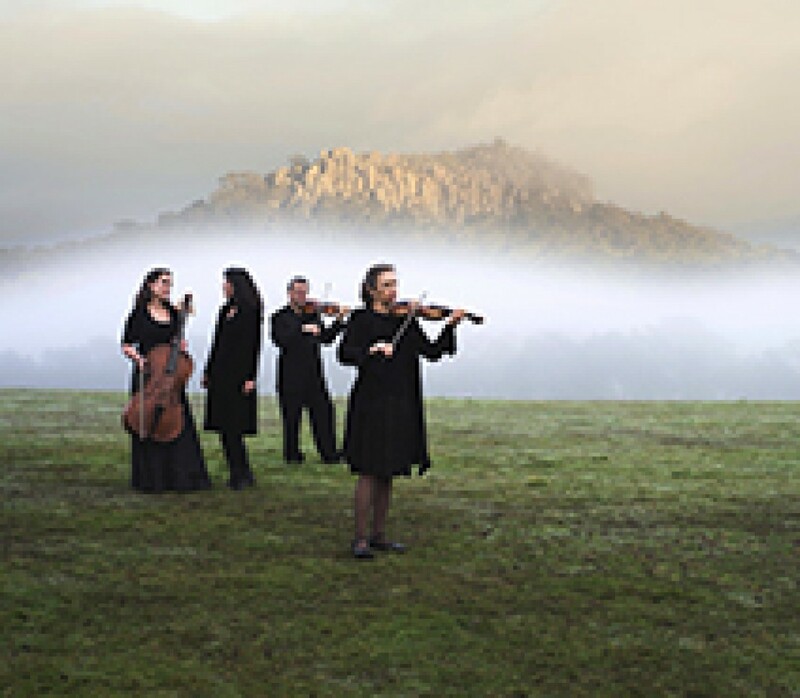 Arcadia hails from Melbourne, and specialises in baroque cantata repertoire. Here they perform five of Handel’s Italian cantatas, works full of fire and passion. This is virtuosic music, beautifully performed. Arcadia’s first CD, Buxtehude Cantatas (TP157) has received rave responses from the press. This CD is a must for Buxtehude fans, as it contains five works not currently available on CD. Arcadia is a new ensemble formed in Melbourne to explore early vocal works. This is a collection of Italian-style sacred motets or cantatas, settings of texts from the Bible, Lutheran hymns and devotional poetry, for solo, duo and trio vocalists with instrumental accompaniment. Arcadia sounds superb in this recording made in the Chapel of the Carmelite Monastery in Kew, Melbourne. If you thought Buxtehude wrote only organ music, this CD will change your mind.